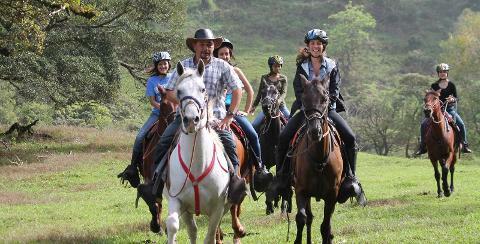 If you are a horse lover than you are going to love this tour! 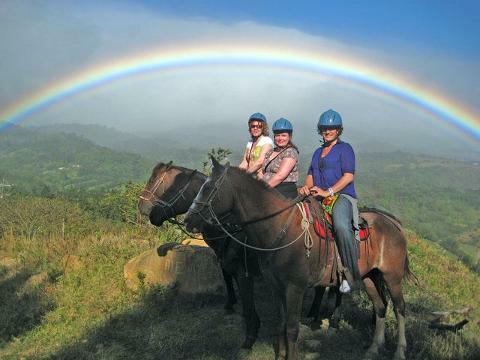 It is great value and a wonderful experience, one of the best Costa Rica Horse Tours for experiencing a day in the countryside some of which is on trails not accessible to cars. 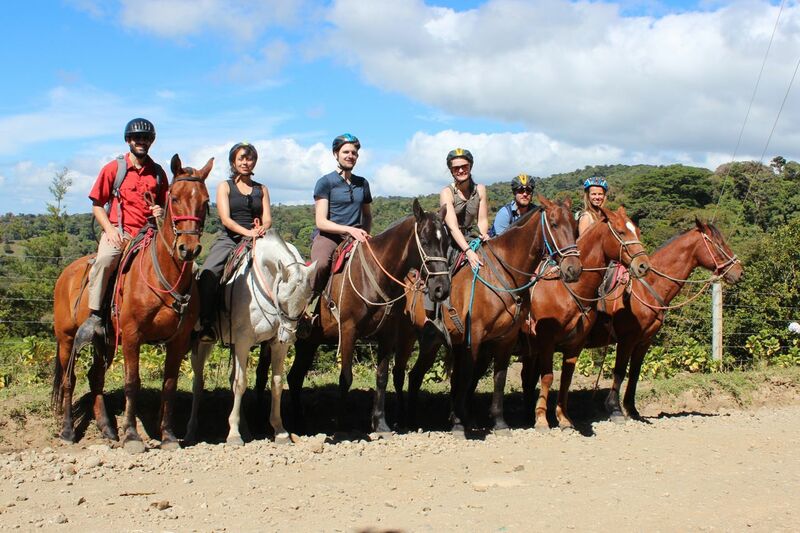 You'll start off by helping to prepare the horses (if you wish to) and learn how we saddle up in Costa Rica and see the type of equipment we use. 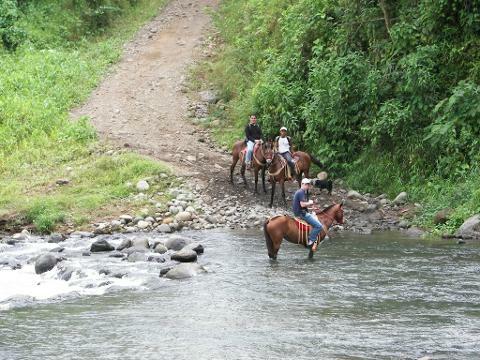 After getting the horses ready you''ll set off for an all-day excursion with the owner of Horse Trek Monteverde, Marvin Anchia. Marvin is a great character and a fantastic rider. There is little he does not know about horses (in Costa Rica that is!). He claims to have started riding before he was born as his mother used to ride pregnant and simply carried on from there. By 8 years old he was training many of the horses in the area and the love of horses is evident. The journey to the farm passes some amazing scenery and you´ll definitely need your camera! A picnic is provided by the river side where birds and monkeys are normally hanging around cooling off in the trees. There is plenty of opportunity to swim in the river and just relax, before setting off again in a different direction to pass through other farms in the area. As the zone is hilly the views points are simply stunning. Along the route back there will be another stop at a local coffee bar for a quick drink and a chance to admire the hummingbirds at the back of the cafe as the owner puts out feeders which attracts many, many birds. Including all transport, at least 5 hours on horse, picnic lunch and a swim in the river. Plus a lot of fun!